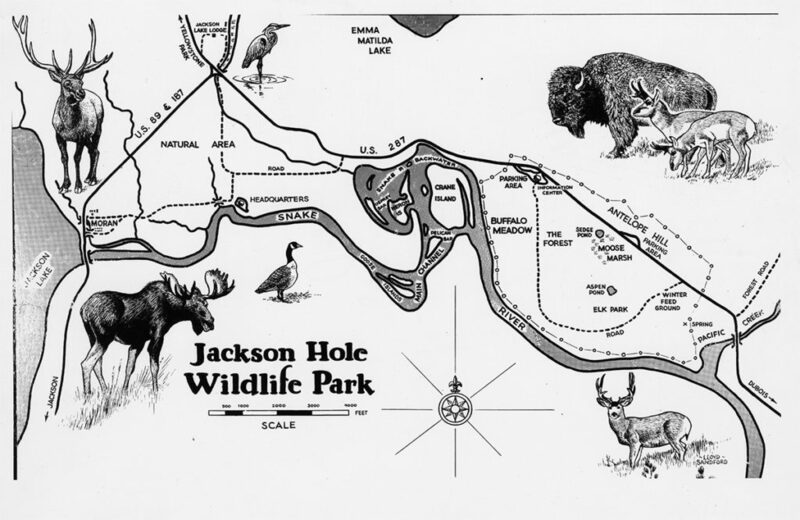 Jackson Hole Wildlife Park—which NYZS was active in developing—was formally dedicated and opened to the public 70 years ago yesterday, July 19. Also in 1948, NYZS founded the Jackson Hole Biological Research Station. The station rapidly developed into the focal point for studies on the flora and fauna of the Rocky Mountains, many of which had application to the future management of Grand Teton National Park. In 1953, NYZS began jointly operating the station with the University of Wyoming, an arrangement that continued through 1975.